Even though Nova Scotia is Canada’s second smallest province, our people share a rich tapestry of culture and heritage that shapes who we are and where we live. Today, our sheltered bays and inlets continue to welcome newcomers to our shores, solidifying our enviable reputation for hospitality and acceptance of difference. Our legacy of migration can be found in our physical surroundings; in our museums, archives and libraries; in our communities; and in the varied and dynamic nature of our cultural expression. Influenced by the beauty of the land, captivated by a relationship with the sea, and inspired by the desire to not only preserve our roots, but also, invite new roots to grow, Nova Scotians are enriched by who we were and who we have yet to become. Whereas money and rank were once the main motivators for studying genealogy, we’re now driven by a desire to understand our family’s narrative, and by extension, ourselves. 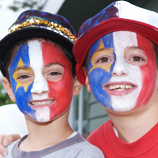 Observed on August 15, National Acadian Day is a celebration of the cultural vitality and enduring heritage of the Acadian people. 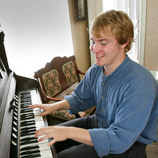 The word céilidh is familiar to Nova Scotians as a gathering, usually in a hall with musical performances. In Gaelic, céilidh refers to a house visit, which usually includes lively conversation, songs, music, tea and a bite to eat. 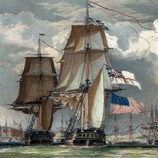 Throughout the first year of the War of 1812, Nova Scotia had remained relatively sheltered from the unfolding conflict, but on June 6, 1813, a significant part of the war sailed right into Halifax Harbour. 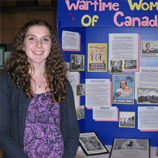 On May 31, budding historians from all across Nova Scotia gathered at the Canadian Museum of Immigration at Pier 21 to showcase their hard work during the 2013 Provincial Heritage Fair. 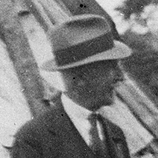 During his tenure as the Nova Scotia Museum’s curator, Halifax-born historian Harry Piers was practically a one-man museum. In recognition of the significant role vibrant communities play in the lives of Nova Scotians, the Office of the Lieutenant Governor is proud to oversee the Community Spirit Award. Nova Scotia’s famous sailing ambassador, Bluenose II, is undergoing a rebuild that will ensure the iconic vessel’s legacy for many years to come. Since 2011, the restoration project has been taking place at the Lunenburg Shipyard, the site where the original Bluenose was built in 1921. Sports and Acadian culture are set to take centre stage when the Municipality of Argyle hosts the 33rd Finale des Jeux de l’Acadie from June 29 to July 3, 2012. 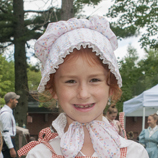 Along the shores of the Minas Basin, on the eastern edge of Nova Scotia’s Annapolis Valley, the historic community of Grand Pré has existed for more than 300 years. Recognized as the birthplace of an enduring culture and a living testament to human ingenuity, Grand Pré is a connection to a storied past, a present day place of reconciliation and a source of inspiration for the future.